I wonder if Wade and I have ever disagreed on anything. I wish he would write more so I didn't have to as much. UPDATE: Scott Brown has won in MA. He has put himself out there in support of our kids... all you in Mass... get to know his staff, hold his feet to the fire and make sure he supports our kids with autism! Autism dad Doug Flutie is endorsing Scott Brown for Senate and so am I. Governor Patrick may be under a lot of pressure working out a budget for FY10, as it is one of the worst fiscal periods in decades, but that is no excuse for recklessly cutting funding for some of the most important programs in our State Government. The Governor is adamantly advocating state spending reductions for the FY10 budget. He is proposing that the state implement a deep local aid cut which will reduce public safety jobs and seriously hinder progress in our communities. He is also proposing cuts to public higher education which will minimize the chances of many to attain a useful and valid education, as well as an even bigger decrease for human services and health care. The latter is of particular interest. This decrease in human services and health care is going to harm a significant portion of the population. Many of these people I know on a personal level and are constituents of mine who have rallied for support. Those who could possibly take the biggest blow from these difficult cuts are the families of children with autism. Autism is the fastest growing developmental disability and is presently it occurs in 1 and 150 child births, with an annual growth of 10-17%. Families of children with autism struggle daily. For some, the lives of their other children are put on the back burner because caring for a child with autism is a full-time, consuming responsibility. According to the ARC of Massachusetts, whose mission statement is to enhance the lives of individuals who have intellectual and developmental disabilities and their families, if the Governor’s plan passes 11,000 disabled children and adults will lose support services. In addition, more than 1,000 people will lose their jobs, and 200 children will lose part or all of their services due to the $85 million in cuts or proposed reductions to local aid, autism/human services, and employment services. Regardless of whatever agenda the Governor claims to have for these individuals and their families, these actions could have dire consequences. Health care is an issue to which I am proactively involved, having co-sponsored over 35 different health care bills directly impacting the Commonwealth and most recently signing on to three pieces of legislation that help and support individuals with autism and their families. One bill would establish a tax credit for employers who hire individuals on the autism spectrum. The tax credit will be 50% of the employee’s gross wage earned in the first year and would decrease in years following. Another bill would create a special commission to investigate and study services and supports for individuals on the autism spectrum. Lastly, I have co-sponsored a bill to require health insurers in Massachusetts to provide coverage for the diagnosis and treatment of Autism Spectrum Disorder. It includes habilitative or rehabilitative care, pharmacy care, psychiatric care, psychological care, and therapeutic care. I hope that we can find a way around cutting aid to those that are in need and that Autism Awareness will continue to create attention so that individuals in the future will attain the help and support that they deserve. 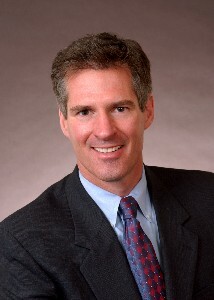 State Senator Scott Brown (R-Wrentham) represents Needham as part of the Norfolk, Bristol, and Middlesex District. Got any friends in Mass? Let them know that Brown supports our kids, even when they cost lots of money! Our kids need all the support in Washington that they can get. Last year Paul Offit was sued by JB Handley for lying about him in his book, "Autism's False Profits". Offit wrote an apology letter and had to donate money to Jenny McCarthy's favorite charity. This represents the second such suit in about a year, and stems from the claim that Offit made in the atrociously biased November 2009 Wired Magazine article, "An Epidemic of Fear: One man's battle against the anti-vaccine movement" in which Dr. Offit claimed that Barbara Loe Fisher of the National Vaccine Information Center "lies". "Kaflooey theories' make him (Offit)crazy, especially if they catch on. Fisher, who has long been the media's go-to interview for what some in the autism arena call 'parents [sic] rights,' makes him particularly nuts, as in 'You just want to scream. 'The reason? 'She lies/ he says flatly.' "
Now if Dr. Offit truly believes that Fisher is lying to the public and passing on "Kafloey theories" that are catching on, then certainly it is his duty to list them and correct the record. But that is not what he does here. He calls her a liar, fails to tell us what bad vaccine info she is passing on, and then retreats back into the St. Paul the Oppressed martyer stance that we have come to see so often now. "Barbara Loe Fisher inflames people against me. And wrongly. I’m in this for the same reason she is. I care about kids. Does she think Merck is paying me to speak about vaccines? Is that the logic?” he asks, exasperated. (Merck is doing no such thing). But when it comes to mandating vaccinations, Offit says, Fisher is right about him: He is an adamant supporter." Ms. Fisher's opinions and research are among those that I have listened to over the years. If there is something that she is lying to me about, then Offit should be telling me, right? So if she is lying, why isn't he telling me where? "Asked whether any specific facts in the story were wrong, he said it was primarily the tone he objected to." Is the same thing happening with Fisher? I guess we will find out. "Before publishing the article, Wallace engaged in a lengthy interview with Plaintiff Fisher by phone and in communications with her via electronic mail. She never questioned in that interview Plaintiff Fisher's honesty or integrity and did not thereafter confront her with the Offit charge that she was a liar and invite her to respond." Merely a charge of telling lies, with out even mentioning what lies she is telling. On this blog I called the head of the AAP a liar mitruther, and then I spent a significant amount of time detailing the lie and the documentation showing that he was full of bologna. Certainly Dr. Offit should at least be required to do what a little blogger like me must do when attacking public figures. Personally, I am no fan of law suits, but at this point, I want people under oath when talking about things, because the BS is so thick in this debate, and the accountability for flat out lying so thin, that something has got to put the breaks on the corruption. Polly Tommy sees no reason to bow to the threats being made by the establishment that she not only ignore Andrew Wakefield as a source of help for our children, but that she throw him under the bus along with the rest of the cowards that are carrying the establishments' handbags to save their place at the table. She has called out the bullies and the cowards who are bending to the bullies over at Age of Autism. They even threatened to shut her magazine down. Now how can they do that if the free market wants to buy it because they know that the Editor in Chief has bigger balls than most UK docs and better ethics than all of the UK medical establishment,and will print pieces that are in the best interests of children and not in the best interests of her getting invited to cocktail parties? Hats off to the British jack asses who are making medical decisions and giving struggling families advice based on political pressure. I am sure that is exactly what inspired them to go to med school in the first place. "If only I can become a doctor who is wise and brave enough to stand for the health and safety of the vulnerable and voiceless no matter what turn my back on suffering children in chronic pain and get my nose as far up the posteriors of the ambitious, profiteering, elitist power brokers as I can in order to become a more prominent cog in the corrupt system, then I will die knowing that I have fulfilled my destiny in this world". I already have my subscription to Autism File Magazine, do you? Maybe next week I will get a second. And start buying from the advertisers that stand by Polly. Write them and let them know that you support their support of Polly. And to highlight the travesty that is going on against our kids in the UK, I am reposting "Selective Hearing". If you have not seen it, watch it. And thank God your child got sick in the US and not 'over there'. What the hell has happened to Churchill's England? Today there is a slew of stories in the media about a study by headed by Tim Buie of Harvard that claim that dietary interventions doesn't work for autism. Except that I sat through Dr. Buie's lecture at the Maine CDC Autism conference last year while he talked about how dietary interventions do work for some with autism. He emphasized that at least 30% of those with autism have GI issues, the GFCF diet was NOT appropriate for all people with autism, but was for some, that the SCD diet showed good promise for a small subset of those with autism, and that the principles of the Fiengold diet should be adopted by the society as a whole. He belives that dietary intervention is appropriate in people with autism who are showing food sensitivities. But you wouldn't know that by reading the media reports. Dr. Jon Poling's lecture on vaccines and autism.